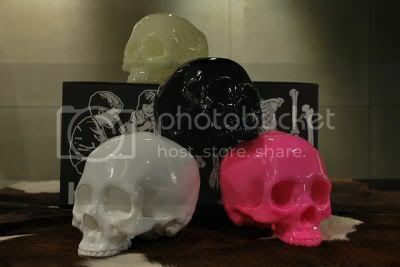 Roughly the size of a 6" cube, they come in assorted colors (including glow in the dark!) and probably fit nicely inside any box, stocking, bag, scrap of used newspaper or whatever you might give nondenominational holiday gifts to people in. Now if only they came in a life-sized version that cost less than $82,000,000.